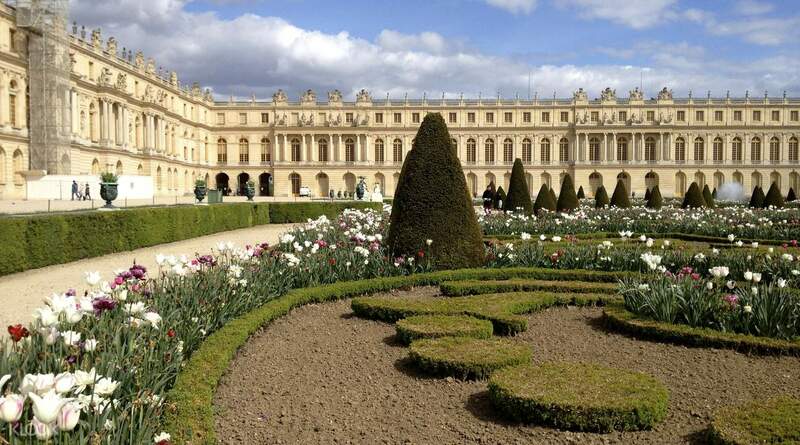 Versailles is a great place to visit, very luxurious interior and full of history. A glimpse of the kings’ life. 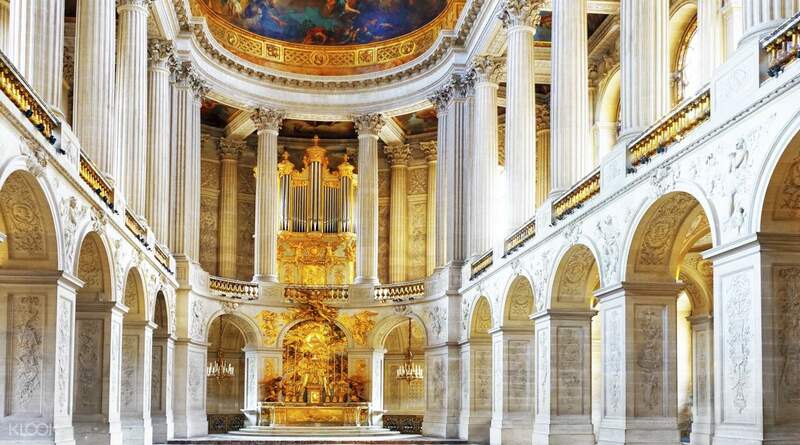 There’s no where else in Europe that does luxury quite like Versailles. 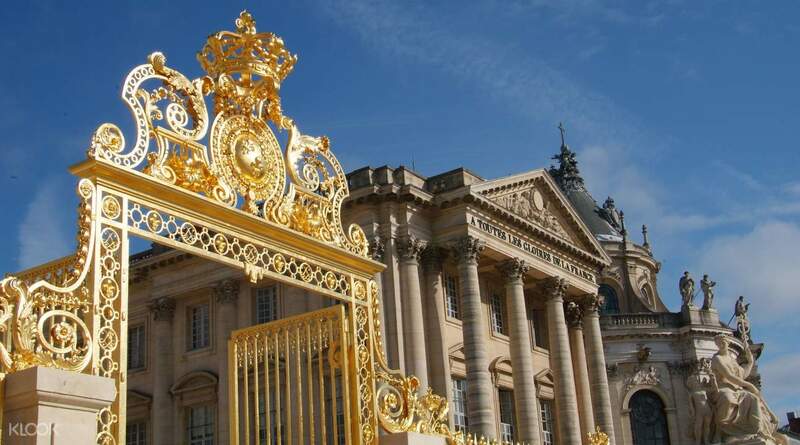 Built by Louis XIV to show off the absolute power of the monarchy, this estate remains one of the greatest achievements of French art and design- so it’s not to be missed! Your tour starts in Paris once you board the comfy, air-conditioned coach where your guide will spend the 45-minute journey introducing you to the rich history of the palace. Then, bypass the notoriously long queues and begin your guided tour straight away. Marvel at the sheer size and grandeur of the King’s and Queen’s Apartments, the Coronation Room, and the utterly incomparable Hall of Mirrors. 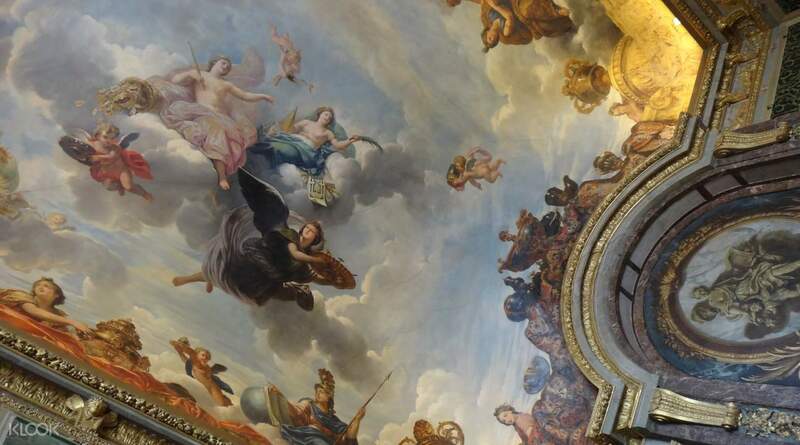 Hidden away from the modern world and a perfectly preserved example of the French monarchy’s over-the-top extravagance, you’ll feel magically transported back to the 17th Century as you walk the gilded halls. 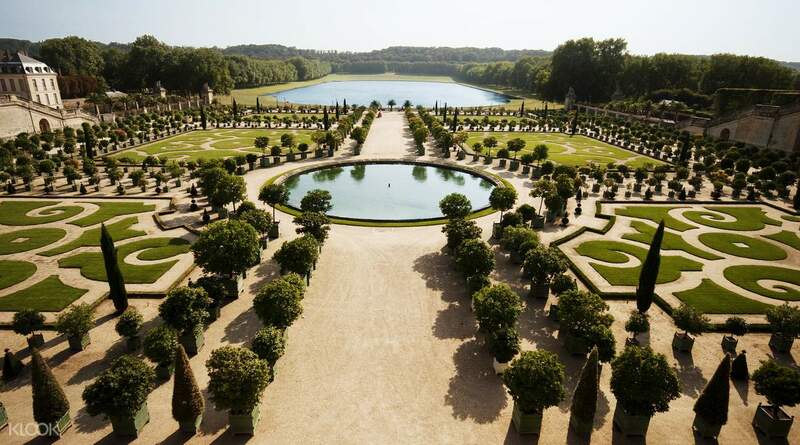 Afterwards, enjoy free time to explore the dazzling formal gardens renowned for their geometry and discover: the Grand Trianon, the King’s retreat escape from strict court life, the Petit Trianon, and Marie Antoinette’s mock farm village, ideal for children to play around. Then hop back onboard the coach for a timely arrival in Paris where your tour ends. Marvel at the sheer size and grandeur of the King’s and Queen’s Apartments, the Coronation Room, the utterly incomparable Hall of Mirrors, and more! Overall experience was good the palace was filled with pople, as mentioned by the guide it was peak period in August. The package includes tickets to the garden which was one of the highlight. Good to purchase tickets in advance because the queue to the palace was crazily long. Overall experience was good the palace was filled with pople, as mentioned by the guide it was peak period in August. The package includes tickets to the garden which was one of the highlight. Good to purchase tickets in advance because the queue to the palace was crazily long. Very incredible experience! Everything was on time. Worth it seeing the palace and the gardens on a beautiful, sunny day. Didn’t experience any trouble with this tour. Very incredible experience! Everything was on time. Worth it seeing the palace and the gardens on a beautiful, sunny day. Didn’t experience any trouble with this tour. Organized tour and great tour guide. We were able to skip long lines since there's a separate entrance for groups. It would be better if there's more free time at the garden. Organized tour and great tour guide. We were able to skip long lines since there's a separate entrance for groups. It would be better if there's more free time at the garden. The meeting point for the tour was at the pariscityvision office near the louvre. It was crowded in and out of the palace when we went in the afternoon and didn’t get to go in right away. The tour went by quickly and the tour guide was really informative. The tour was okay but I dont think it was worth the price. The meeting point for the tour was at the pariscityvision office near the louvre. It was crowded in and out of the palace when we went in the afternoon and didn’t get to go in right away. The tour went by quickly and the tour guide was really informative. The tour was okay but I dont think it was worth the price. Excellent place excellent tour guide and excellent bus! Pity that the queens apartment is still closed for rennovation. Will go again. Excellent place excellent tour guide and excellent bus! Pity that the queens apartment is still closed for rennovation. Will go again. Very nice tour and everything was on time. Very nice tour and everything was on time. Q: Is it possible to stay behind at the location and not join the bus ride back? A: Yes, if you wish to spend more time in Versailles, then you are free to do so.